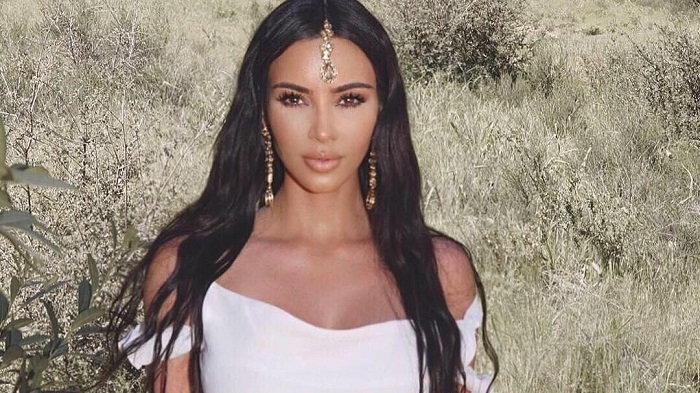 Kim Kardashian has been accused of cultural appropriation after she wore a traditional Indian maang tikka head piece for a church service, Daily Mail reported. After a picture appeared in the Kardashian Instagram account, as she posing in a white dress and golden maang tikka, a traditional Indian hair ornament, her followers immediately slammed her. Social network users have criticized the choice of TV stars and accused her of cultural appropriation. Some of users noted that only brides can wear maang tikka in India, and people in this country usually wear white clothes to the funeral. “On top of that she wore this to a Christian service. She probably thought it was just jewelry, but when that piece has literally been used for centuries wouldn't you kinda think there must be some sort of significant meaning held towards it?’” One of the users noted.